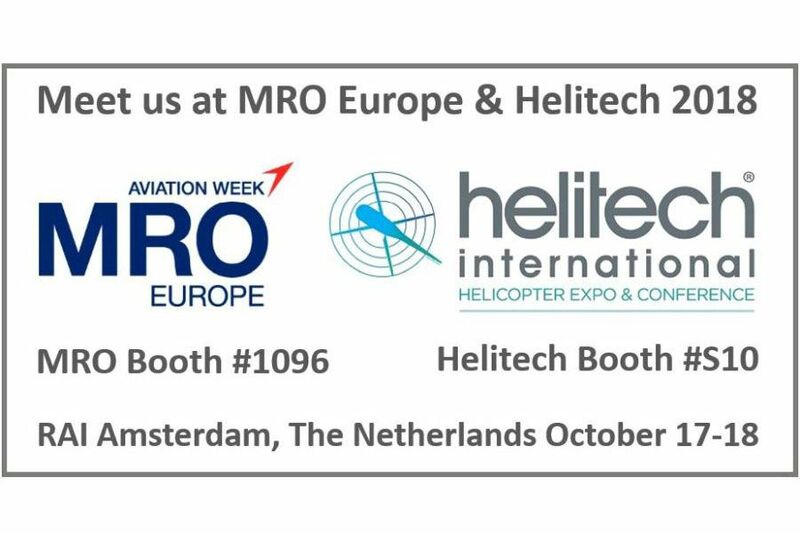 From 17th - 18th October, SPECTO will display at MRO Europe as well as Helitech International, both being organized in Amsterdam, The Netherlands. These two events are running in parallel, and due to SPECTO’s involvement in the fixed wing as well as rotory wing composite repair market, we will have two booths from where SPECTO Aerospace will promote its extensive experience with repair, overhaul, painting and lifespan extension capabilities for a huge range of structural composite and sheet-metal components with high-end applications. SPECTO is specialist in composite repair of Rotor Blades, Flight Control Surfaces, Nacelles, Thrust Reversers and Radomes, RF microwave testing included. You are cordially invited to come to meet us at either MRO booth #1096 or Helitech booth #S10. For more details or scheduling an appointment, please contact Mr. Marco Brinkman (for SPECTO’s Rotary Wing business at Helitech) or Mr. Maarten T.A. Peters (for SPECTO’s Fixed Wing business at MRO Europe), office telephone at +31 854 883 677 or alternatively by e-mail sales@spectoaerospace.com.